Let Me Take You Flyer! Wearing bow ties offers a more distinguished look to rival the classic neck tie. I am what many would consider “A bow tie snob”. I do not wear pre-tied bow ties, nor do I use neck ties as bow ties. I remember having this conversation with a coworker. He said that he finds it offensive when people offer him pre-tied bow ties. And I get it. It’s like offering a dedicated Jordan shoe collector a pair of those Air Jordan fusions. 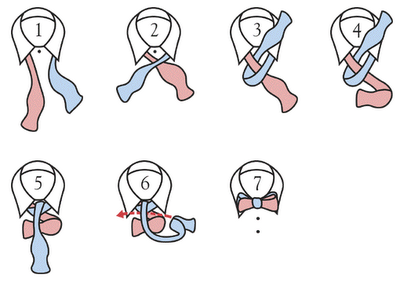 Tying a bow tie can be quite daunting if you have no experience. Believe me, I know. I did not always know how to tie a bow tie, but that never stopped me from wearing self-tie bow ties. Take a minute to allow that to sink into your cerebellum. Just imagine that scene. Trying to make that bow would cause me to sweat, in the middle of winter. Picture my wife off to the side stomping and screaming words of encouragement like, “Babe, you almost got it” as beads of sweat stream from my forehead. It was like John Calipari screaming at his players during the NCAA tournament. With all of “How to tie a bow tie” videos and illustrations I have seen, this one is absolutely the most helpful one that I have come across. The gentleman, Mr. Phill Wade, in the video is actually a school teacher out of Texas. His proficiency as a teacher is on display as he provides a thorough tutorial on tying a bow tie. This entry was posted in Uncategorized and tagged Charlotte Style, How to tie a bow tie, Mens fashion, mens style, Menswear, Phill Wade, style, Tying a bow tie, Wilbur Dow by wilburdow. Bookmark the permalink. I use this video and a set of instructions and yet I still have a tough time getting the bow tie correct. Getting the bow perfect takes a little practice. Just keep trying and you will get the hang of it.